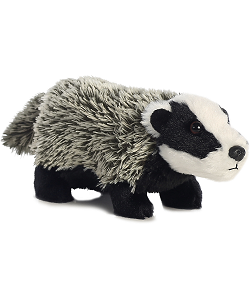 This cute little badger stuffed animal is part of the fun and cuddly Aurora World Mini Flopsies collection. 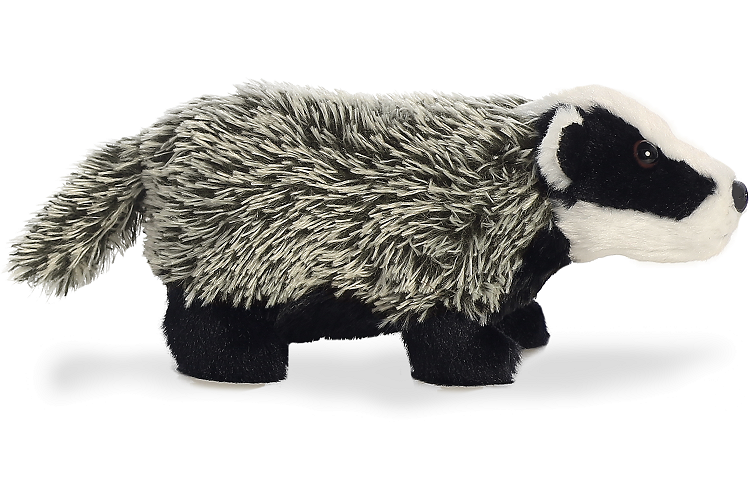 With a huggable body of nappy, white-tipped, dark gray fur, this plush badger's tummy and feet have soft black fur and a face of black and white. 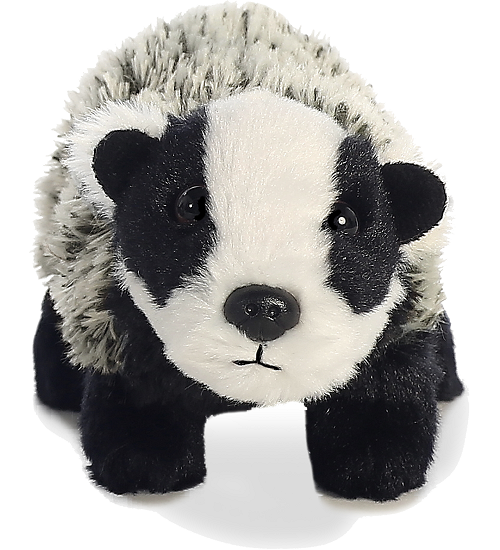 And while its real-life counterparts may be a little aggressive and intimidating, this stuffed badger is as sweet as can be and cannot wait to accompany you for hours of imaginative adventure. 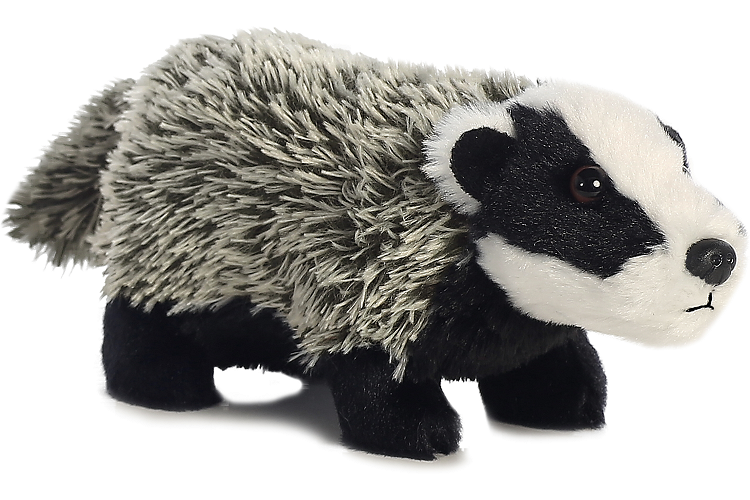 Fun Facts about Badgers: Badgers are the fastest digging animals on earth. They prefer sandy, porous soils and make their homes in underground burrows - often with a maze of tunnels - called setts. Generally active at dusk, night and dawn, badgers are strong, tough animals that can defend themselves very well. The American Badger lives on prairies and savannas in western North America. The Eurasian badger ranges across much of Europe and Asia, from the UK to Japan and from Scandinavia to Italy. Both species can reach 3 feet in length, including their tails. But Eurasian badgers may weigh up to 30 pounds while their American cousins usually top out at 20 pounds.